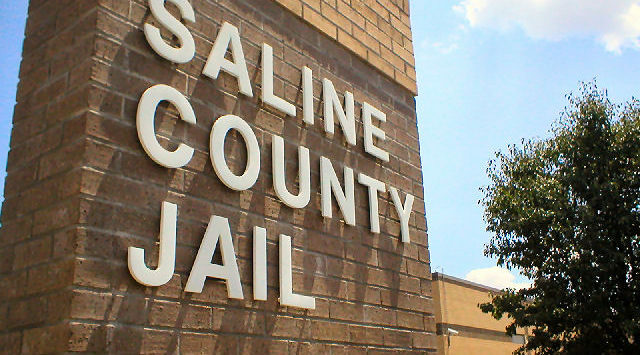 Last Monday, Saline County Commission Chairman Robert Vidricksen announced that there would be “no public comment” during Jim Robertson’s presentation on jail overcrowding. Before a discussion at Tuesday’s commission study session, he again announced there would be “no public comment”. In 5 Years, Have Jail Construction Costs Doubled or Tripled? Prior to 2014, James Robertson—of Voorhis/Robertson Justice Services—developed at least six proposals to build a new Criminal Justice Center/Jail. On August 12, 2014, the county commission–composed of Randy Duncan, Jim Gile and John Price–voted to put the criminal justice center/jail proposal before voters. 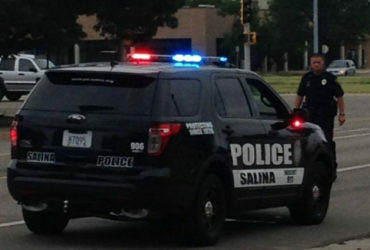 It had a cost of $46,500,000; it would have 344 inmate beds and was likely on a new site. (Duncan favored just expanding the jail to 310 beds.). Voters defeated the measure—6,369 to 5,487. Since then, there’s new county commissioners, a new sheriff, and new county administrators. But, officials with institutional memory should immediately have spotted a serious disconnect in Robertson’s 2014 and 2019 calculations. Robertson’s 2019 option 4 determined both capital construction and 20 year operating costs for building a new jail, on a new site. His calculations are based on implementing a new pre-trial service program that should bring a 10-15% reduction in the jail’s average daily population as well as maintaining other efforts to manage the “average length of stay” (ALOS). He estimated that capital project costs could vary from $75,562,500 (for a jail housing 254 inmates) or $82,261,670 (for a jail housing 362 inmates) through 2038. So, how in five years, can the same consultant propose building similar sized jails where costs have gone from $46,500,000 (that included a criminal justice center) in 2014 to as much as $82,261,670 for just the jail itself in 2019? I’ve spent hours trying to determine what Robertson estimated in 2014 as the cost for just expanding the jail, but I am stymied. I remember a figure of $26,000,000 to $29,000,000 but I can’t find it. Perhaps construction costs have radically increased. In the 2019 proposal, Robertson added “special needs beds” (designed for inmates with mental health and substance abuse issues). Maybe county staff who helped Robertson with the proposal included some expensive “bells and whistles”. Whatever the case, Robertson’s final written report merits close examination. Will someone please check his math from 2014 to 2019 and look into his 20 year operating cost calculations? Why Use “Very Conservative Growth Estimates” and Not “Realistic Growth Estimates”? Robertson’s presentations don’t details any other causes. I question his written May 2018 jail “data summary “. It’s hard to support his 2019 oral summary when parts of it lack clear explanations. When Will the Commission Allow Public Input? Robertson has given two oral presentations to commissioners; both times, these were scheduled not at the Board’s usual Tuesday meeting time; the commission’s agenda did show the meetings. It is disappointing that the weekly e-mail of the agenda didn’t give a head’s up to Robertson’s presentation. The only “public handouts” went to “media”. Curiously, two men—later identified as either architects or engineers—received full page details of each slide. This is concerning because I’ve heard others question whether Robertson’s 2018-2019 “consulting contract” followed the county’s usual procurement processes. Will there be open/fair procurement for the next phase of this project? Personally, I think it’s time to stop housing 50-125 inmates a month in other counties. It is unfortunate that county officials have found few ways to reduce the jail population, though enhancing pre-trial decision making will be a significant achievement. I am troubled that by merely mentioning disconnects in Robertson’s oral report, I may cause some voters to automatically reject considering a ballot measure.